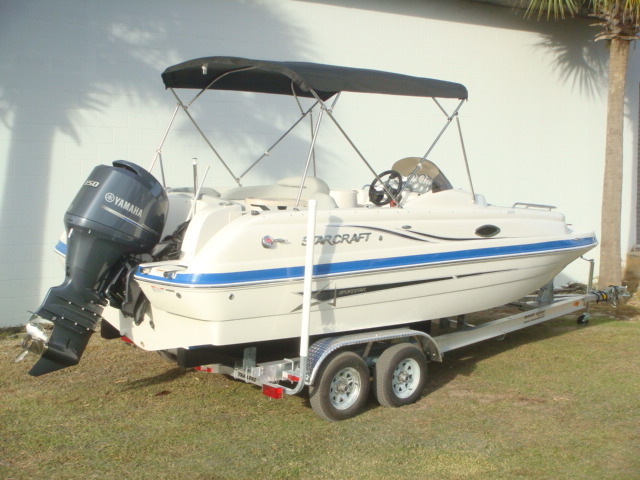 2016 Starcraft Coastal 2009 OB The Coastal 2009 OB is a well designed and built deck boat that will let you and your family get out and enjoy the boating lifestyle. 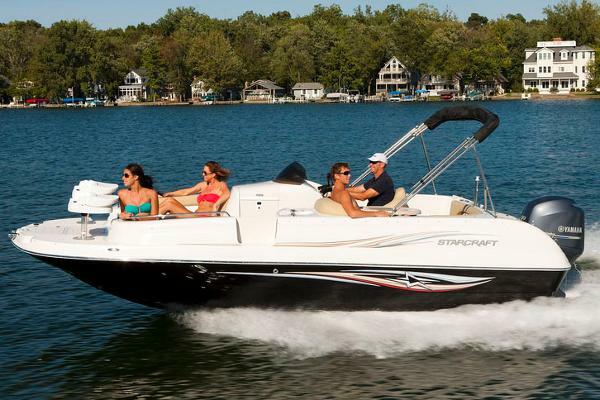 There's plenty of seating and storage, and the boat is loaded with features, like a large bimini top, stainless steel rubrail, oversized side console with forward compartment that contains a porta-potti, large ski locker and a nice stowaway cooler. 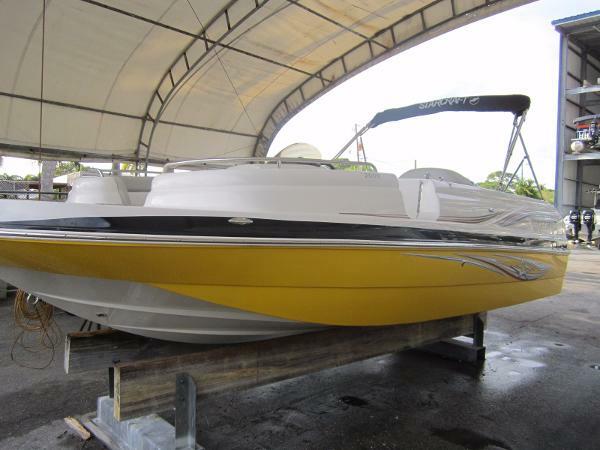 This particular 2009 has the beautiful Yellow/Black/White color combination that's enhanced by a splashy graphic on the hull sides. The feature-packed interior and affordable price of the Coastal 2009 OB puts deckboat cruising well within reach. And at the blow out price we're offering this boat for that's a short reach as well. Come get this one while you can - it won't last long!! 2017 Starcraft Coastal 2009 OB The feature-packed interior and affordable price of the Coastal 2009 OB puts deckboat cruising well within reach. 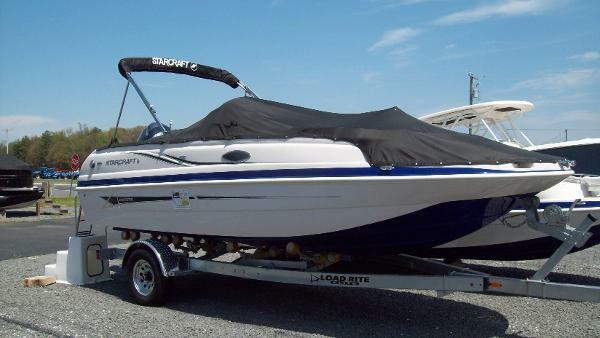 2015 Starcraft Deck boat Coastal 2009 OB, Complete package includes boat, Yamaha 150hp motor w/ stainless prop & aluminum trailer. Also includes Coastal OB Sportstar package, vinyl flooring, cockpit cover, battery, dealer prep & freight.